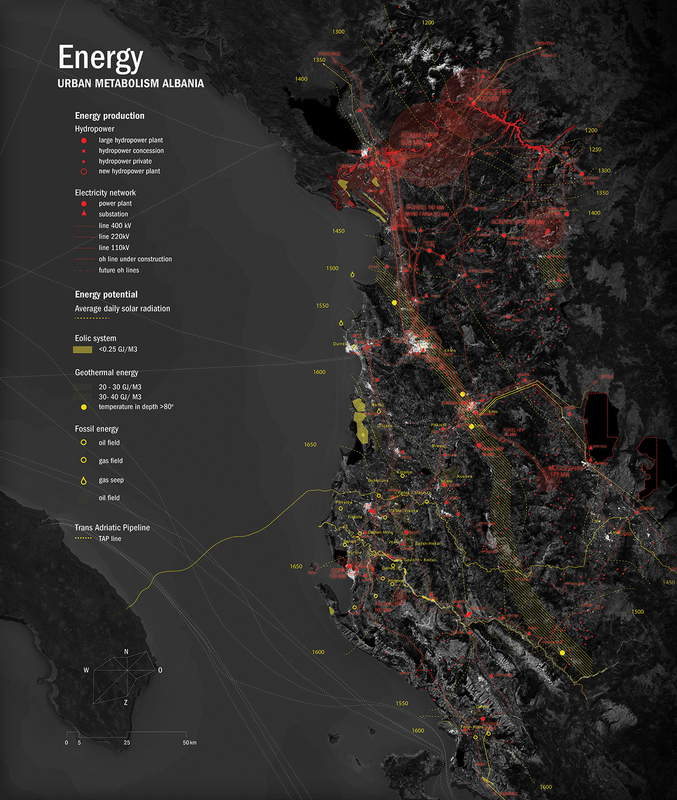 The Urban Metabolism of Albania is one of the research by design projects developed by the design office FABRICations, within the framework of the Atelier Albania (Albanian Government and International Architecture Biennale for Rotterdam). The project explores sustainable economic development model for next generation Albania. Albania is a fast growing country, with tourism as its main driving force. Unfortunately, in the past 25 years, rules and planning regulations have never been able to catch up to the rapid transformations. How can a new strategy to support the demand of food, energy, materials and resources for a sustainable growth of tourism be defined? Such tasks require a rereading of urbanization as a coherent organism, that is, as an urban metabolism: learning to understand urbanization in terms of vital flows of materials such as energy, food, and water. To assess those flows, various experts and organizations came together to share data, insights and relevant facts. 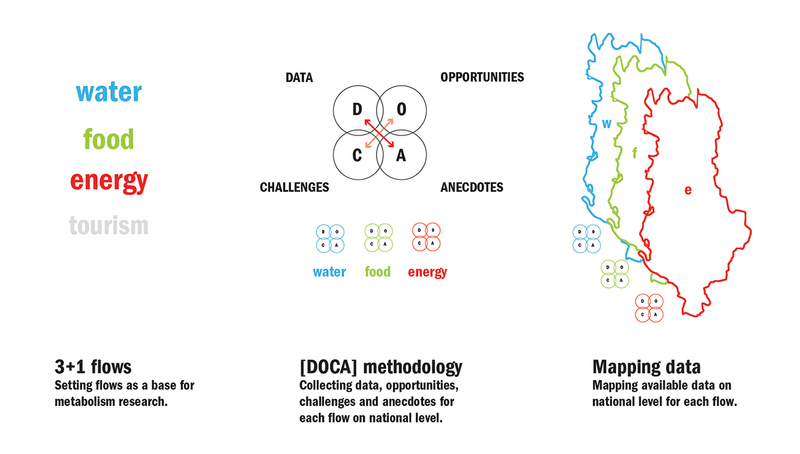 Maps on a national and regional scale are used to translate the anecdotal knowledge to specific sites and regions. Combined with other datasets, they allow for a more complete view on the current state of the different systems in Albania. 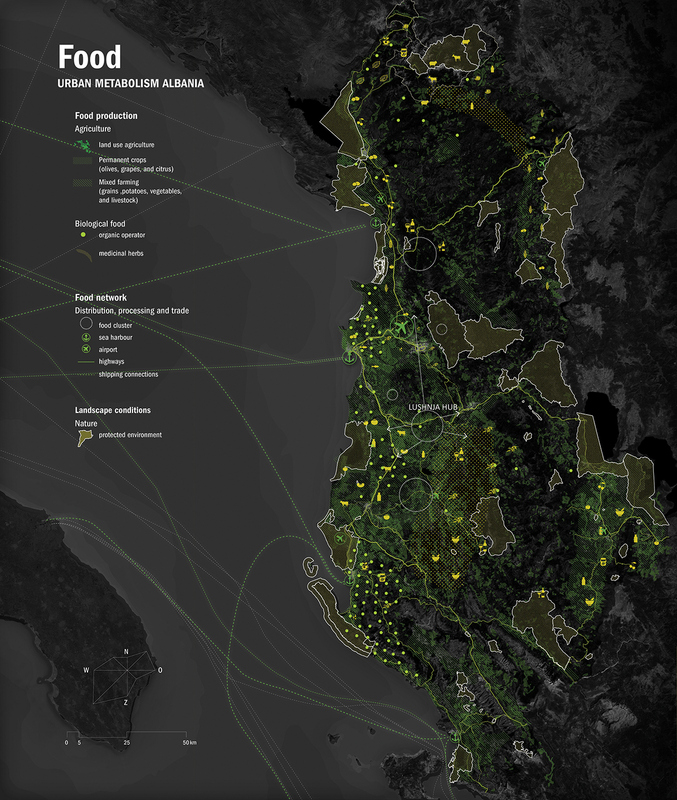 These maps show the underlying infrastructure systems of food, water, energy in Albania, where key challenges are located, and how they “flow”, bringing into view relations that are unseen in traditional mapping. 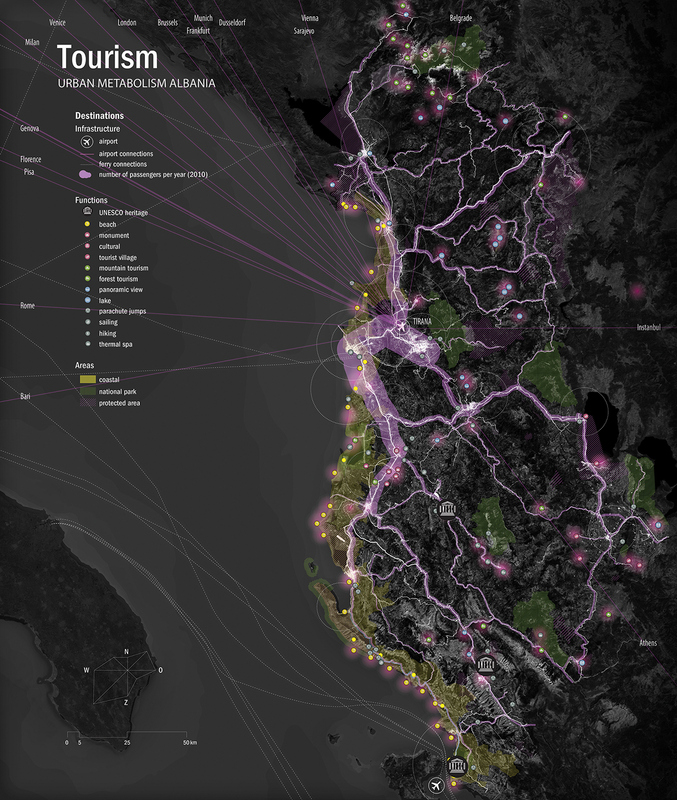 A fourth map is made for the tourism infrastructures. 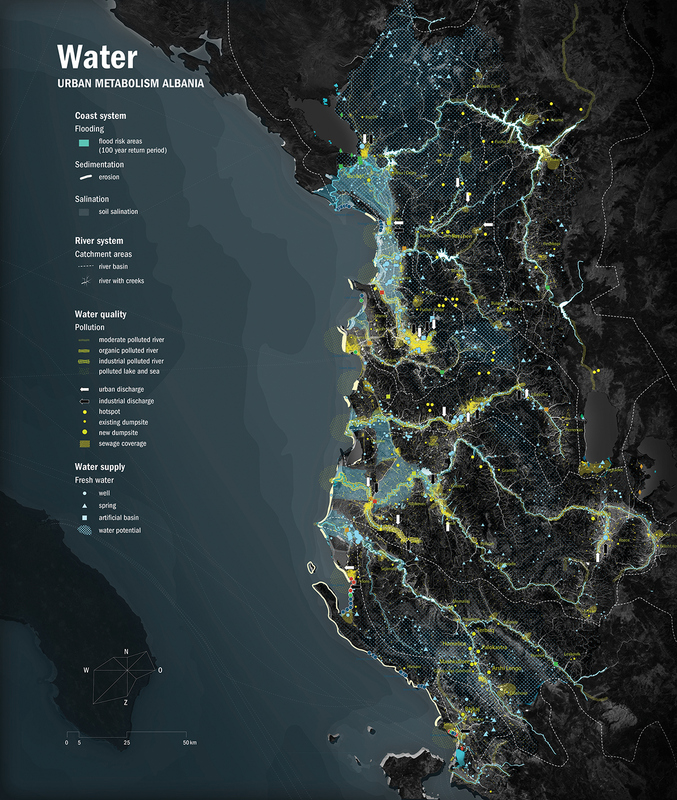 This layering of data and anecdotes through mapping brings to the surface the challenges and opportunities, shows us where problems pile up, and where integral solutions are possible. Working with flows also presupposes the ability to alternate between local, regional, and higher levels, between strategy and spatial design, between material flows and the accompanying infrastructure. Therefore, different flows are analyzed simultaneously on a national level and on a Drini river catchment scale. As a result, areas where challenges and opportunities coincide can be considered ideal locations to intervene with maximum impact. Those areas were assessed with a “passport”, to specify guidelines and parameters for development. A publication with the full outcome of the Atelier Albania is available on the IABR website.